The original conversation or "dialog" (taidan, 対談) took place April 6, 1994 at the Cheesecake Factory in the Marina del Rey Yacht Harbor, Los Angeles, USA, about 15 minutes by car from the Dojo (Rickson's, apparently, but it's actually closer to the Inosanto Academy, where Yori taught shooto and Jeet Kune Do), to promote the Vale Tudo 1994 Japan tournament held July 29 at NK Hall in Tokyo. It was published July 8, 1994, and republished in Kakutōgi Striking Sprits (格闘数トライキングスピリッと)　May 1, 2002. It is presented here for the first time in English, with some comments by the translator, Roberto Pedreira. Yori Nakamura was described as a close friend of Mr. Rickson Gracie, who in turn was called the "strongest Gracie jiu-jitsu fighter", alluding to Royce and the UFC. 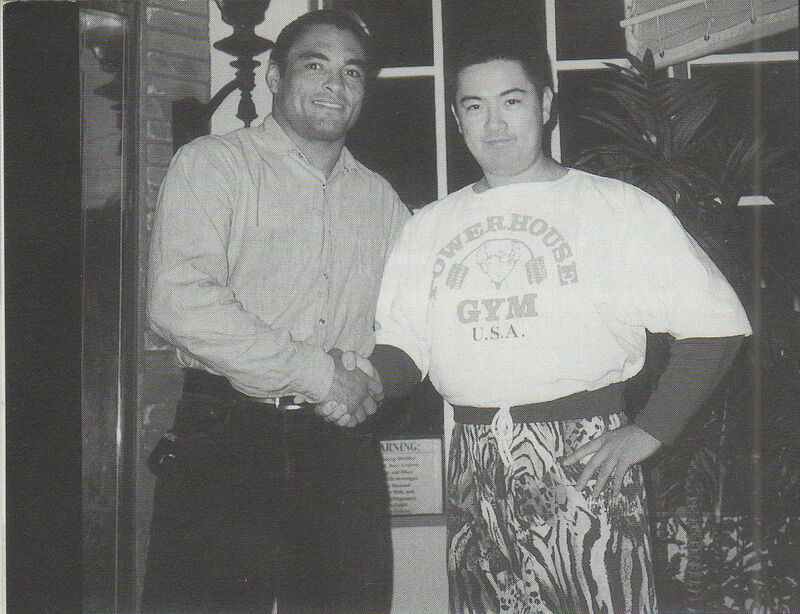 Yori and Rickson both lived in Los Angeles and made efforts to promote kakutōgi (MMA) in America. To the best of Roberto's recollection and personal observation, Yori taught Erik Paulson most of what he knew about grappling in his early days at the Inosanto Academy. In this interview, Erik Paulson doesn't mention Yori at all, only that he had his first shooto match in 1992, and had been training mostly self-defense with the Gracies and Machados since about 1988. Everything Erik says may be completely true, but Roberto clearly recalls seeing Yori teaching Erik at the I.A, and there are privately circulated VHS tapes unofficially titled "Mat Burn", showing it as well. Give credit where due. Roberto studied shooto briefly with Yori between 1994 and 1998 and is very sorry to hear that Yori is seriously ill or injured and needs surgery. Yori is Japanese and Japan has a very comprehensive (includes dental and meds) and very affordable (income-based) national health insurance system. But since Yori has been in the USA since 1989, perhaps he hasn't been paying into it and hence doesn't qualify. (Yori's Facebook doesn't explain in detail). In that case, a fund-raiser would make sense and probably would be a necessity for a martial arts instructor. The dialog doesn't expose many major revelations but indicates that Rickson was concerned about the over-emphasis of sports jiu-jitsu that he talked about here and here, as early as 1994 (and probably before). And also that he believed that the purpose of jiu-jitsu, as a species of Budo, was not fighting, but to "make a better person" (i.e., Kodokan judo). In terms of marketing, that is a smart approach. Most people don't want to fight, but few people are immune to the appeal of becoming "better" people (whatever that may mean to them). If they can become better people and also learn how to avoid having to fight, that would be best of all. When Roberto was learning basic jiu-jitsu at Rickson's academy on Pico, 1994-1998, it was on portable mats on the floor of a karate studio, formerly an auto paint or repair shop. Limão (or maybe it was Mauricio) offered Roberto a "job" answering the phone in exchange for free lessons. They didn't want to spring for a part-time receptionist. The academy seemed very temporary and run on a shoe-string. Nothing wrong with that, but Roberto was surprised to read (in the interview) that Rickson was in a position to put his hands on US$ 400,00 to gamble on the outcome of a match with an unknown opponent. Undoubtedly Rickson was confident of victory. But what if the unknown opponent had been Sakuraba (the legendary "Gracie Killer"; see multiple interviews with Sakuraba here), or someone like him? A lot of the dialog and the other articles in the same issue of the magazine focus on Rickson's long and vast career as Brazil's greatest Vale Tudo fighter. Apparently Yori didn't know (no one outside of Brazil did) that Rickson's vale tudo career up to the date of the dialog (until July 29, 1994, in fact), consisted of two fights, in 1980 and 1983, both with Zulu (see Choque Vol. 3, chp. 23, and chp. 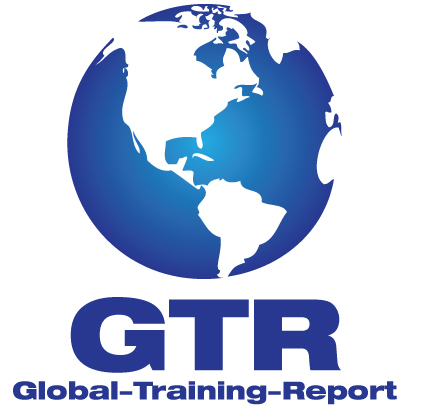 30 for details; also some of the Myths and Misconceptions series on GTR). Rickson is being deliberately misleading when talking about his more than ten years undefeated record as Brazil's strongest vale tudo fighter. He had two fights, against one opponent, over three years. By the end of UFC 1, Royce had more vale tudo experience than Rickson. Readers may also notice that Rickson doesn't claim to be undefeated in 400 fights, only to have competed. He specified "official" matches, not academy sparring matches or beach brawls. His sambo and amateur wrestling records are unknown, but his vale tudo record (at that point) equaled exactly two fights and according to press coverage on BJJ tournaments in Brazil prior to Rickson's departure for America, there were not many and Rickson was absent from most of them, albeit for legit reasons (see Choque 3 for details). There wasn't any significant "official" sambo in Brazil during Rickson's heyday. Helio tried and failed to get government support for the sport of sambo (also see Choque 3, chp. 20). So apparently the majority of Rickson's 400 fights were sambo matches in America or amateur wrestling. Yori: Today, I would like to ask about you and Gracie jiu-jitsu on behalf of Japanese readers. Yori: First, a short self-introduction please. Rickson: My name is Rickson Gracie. I'm a jiu-jitsu teacher. Currently, I hold the rank of 7-dan. I have competed in more than 400 official matches of jiu-jitsu, vale tudo, sambo, amateur wrestling and so on. All of my life I have been fighting and teaching. Yori: When and why did you come to America? Rickson: It was five and a half years ago. The reason was that there was nothing left for me to do in Brazil. I come from a big, traditional family with a history of winning every fight in Brazil. There was nothing for me there. I felt like taking on a new challenge in America, where my brother already moved. I wanted to be a pioneer. Yori: That's a wonderful ambition, for sure. It seems that you have acquired the right of permanent residency in America. Do you intend to stay here permanently? Rickson: No. I'll go back to Brazil when I retire. I'll live in the countryside. I want to be a farmer. I'll have a personal dojo where I'll continue to train with my friends. There's a lot of pollution in Los Angeles and in the next 10-15 years it's gonna get worse, and the population is increasing and it's getting more expensive to live here. I prefer the countryside. Yori:　Are you sad to be away from Brazil? Rickson: Yes. I have many friends in Brazil, the climate is good, the food is tasty. Brazil is spacious. Brazil has a great hidden potential for development that hasn't been realized yet. However, there is a lot of crime in the big cities. It's hard to make money, too. It's like a different world (from Santa Monica and Malibu). Yori: Can you describe in simple words the Gracie Jiu-jitsu you learned since your child days in Brazil? Rickson: Yes, ok. Jiu-jitsu includes the meaning of "soft arts" and "gentle arts". It uses the principle of "leverage" (テコ). Gracie jiu-jitsu was established by developing further the jiu-jitsu transmitted by Count Maeda Koma. The principle of leverage is used in a lot in the techniques, and they are improved so that anyone can do them easily. Especially it is good for self-defense. Yori: Is the Gracie jiu-jitsu in Brazil different from the Gracie jiu-jitsu in America these days? Rickson: Yes, a little. In Brazil my father (Helio) and brothers always developed the pure techniques. Good Brazilian fighters came to America and American Gracie Jiu-jitsu became stronger. But little by little the essence of Gracie jiu-jitsu has been forgotten, it seems to me. Instead of smashing the opponent, the objective now seems to be scoring points. Jiu-jitsu has become more of a points oriented thing now, it seems to me. Yori: It may be something related to features of America. [Yori is referring to Rickson's comment above]. It seems that even in Brazil there is no one who can fight with you. Rickson: Yes. To tell the truth, I was in Brazil last week. I heard there were strong guys. I went on two TV programs. I said "I'm always ready to fight, Let's get it on! Show me the money!" But no one showed up. Everyone wants to fight my brother Royce. Yori: Speaking of Royce, he was in the Ultimate Tournament. What did you think about that tournament? Rickson: I think it's good to have a new style of real fighting. Before it was boxing, karate, Taekwondo, and others with rules. There wasn't a kind of "free out". It gives a completely different perspective on kakutōgi. Gradually people will come to understand (care about). What is necessary for kakutō, and how they can become a complete fighter. Just one style is not enough. They have to train punching, kicking, throwing, choking, ground, joint submissions, attack and defense. For my brother (Royce), the Ultimate has been easy so far because the other fighters were not well-rounded. But everyone will soon start training other techniques from other arts and then the quality of fights will improve. I foresee a new kind of kakutōgi. Yori：　I heard that you were Royce's trainer (trained with) for the Ultimate. Rickson: Yes. It was important for Royce as a professional to acquire experience, honor (or fame), and so on in that tournament. So, I let him enter it for himself and helped to make him a champion. It is up to him to defend the title, build a winning record, and make his name known. Yori: Has Royce ever beaten you yet? Yori: Do you have any plan to enter the Ultimate? Rickson: I have no plan to do it so far, but if they add two zeros to the end of the prize money I might think about it (Rickson laughs). Or if Royce loses, I will enter to protect the Gracie name. I'm satisfied with my brother's victories so far and I hope he will continue. So far, so good. Yori: I see. Well, how did you feel when you were fighting vale tudo in Brazil? Rickson: I didn't feel tense. When I heard the cheers of all the fans I felt my adrenalin kick in. Nothing else. Yori: You have the accomplishment of being the strongest vale tudo fighter and undefeated for more than 10 years. Do you do any sort of special training for vale tudo? Rickson: No. I only do my usual jiu-jitsu training. The mysteries of jiu-jitsu are deep. But vale tudo is a no-gi fight so there is a lot of slippery sweat, which is a special problem to deal with. I include slaps and elbow strikes and other types of strikes in my regular jiu-jitsu training, but other than that I just do what I always do. Yori: To change the subject, there's a story that, you issued a challenge to Antonio Inoki and went to Japan a few years ago to talk it over with him. Rickson: Yes. Inoki had a big company. I was ready to work with him but I heard that among his group there was no one to fight with. I said I would put up $400,00 as a prize and take on anyone from his group, no matter who it was. But Inoki didn't want that kind of "gamble" fight so he refused. So, I came back home. Yori: The roots of Gracie Jiu-Jitsu are from Japan. What are your thoughts about Japan? Rickson: My inspiration from Japan is the "Samurai spirit" (侍精神). I really respect Japanese culture for having such a thing as samurais. My spirit is very similar to the samurai spirit. I will always die for what I believe in. For me the most important thing is my honor (名誉). It's more important than my body. Nothing is more important than what I believe in. I am always ready to fight. I don't care even if I die, as long it's for what I believe in. Really, I very much respect the Japanese spirit. Japanese people are "clean"(クリン, honest) in whatever they do, they know how to concentrate well. That's a very interesting spirit to have. Yori: Jiu-jitsu with real fighting doesn't have a long history in Japan. My own teacher was Sayama Satoru (佐山サトル). He wanted to revive fighting jiu-jitsu, so he established "shooting". What is your opinion about "shooting"? Rickson: I think the establishment of shooting is a big and revolutionary step in the world of kakutōgi. But it's a bit different from what I do. It's too sportive. In my opinion, it can be a bit improved. Having weight classes is not a particular problem but having time limits in the open weight class of Shooting Open is a problem. A smaller man needs more time to take the bigger man into more advantageous position on the ground. One round with time limits of 3 or 4 minutes is not enough for that. Also, the referee doesn't give enough time to work a submission but instead stands the fighters up too quickly. The man doesn't have enough time to plan ahead, to set and then spring his trap. I believe that if changes like these are made, shooting will become more like a real fight. However, "shooting" is much better than anything else I've seen so far. Yori: The rules of official shooting fights can't be changed, but as for the Open Tournament, I will ask the commissioner to consider a modification of the rules, so that a bigger variety of fighters from different styles can participate. Rickson: I think that would be very good. Yori: What do you think now that a fight has been arranged for you in Japan? Rickson: I feel very energized. It has always been my dream to fight in Japan. I'm very happy to be able to fight in the homeland of Budo. Everything was born there. It's a great honor to fight in place where the spirit of budo always lives. When I think of fighting in Japan, I feel energized. Rickson: Jiu-jitsu is a thing that originally came from Japan, so I feel like I'm brining back to Japan what I got from Japan a long time ago. I feel pleased about that. It's something like a lost child being returned to home. Yori: Do you want to spread Gracie Jiu-jitsu to Japan? Rickson: I heard that Japan is a place with a lot of money (laughs). It's always good to work in a place where there's a lot of money. Yori: To wrap it up, please offer a message to the Japanese people. Rickson: I'm proud that in the kakōguti world, Gracie Jiu-jitsu in Brazil keeps the Budo spirit. It's very valuable and interesting Budo. Not only for becoming a strong man, but by committing to Budo more deeply, learning true (pure) techniques, and polishing your humanity. I think the purpose of Budo is to make better people. I want to teach jiu-jitsu to people all over the world. I hope they accept my energy to help them improve. Yori: Today, thank you very much. Rickson: Not at all, it's been my pleasure. More interviews with Rickson Gracie. An article by Yori:Remembering Rockson. *Special thanks to Yoko Kondo for checking the translation and correcting some errors.